The Allied forces that liberated Europe from Nazi rule received a lot of help from members of the Resistance in various countries. Jean de Noailles was one of them. I came upon a family photograph of him when I recently visited the Chateau de Maintenon near Chartres in France. (I wrote about this chateau in two previous posts, “Chateau de Maintenon” and “Louis XIV: A Very Thirsty King”). The de Noailles family still occupies the chateau they inherited from the “secret” wife of King Louis XIV. They are justifiably proud of their lineage–in fact, a very grand gallery displays large portraits of various illustrious ancestors. Jean de Noailles would have been the 9th Duke, but he died before his father. During World War II, he was an active member of the French Resistance. Born in 1893, he was arrested by the Gestapo in 1942. he was imprisoned and tortured first at their Paris headquarters on avenue Foch, then sent to Compiegne in France, then to Buchenwald-Flossenburg, and finally to Bergen-Belsen. He died there just a few days before the camp was liberated at the end of the war. By all reports, he never handed over any useful information to the Nazis. They may have kept him alive in hopes of eventually getting information, or they may simply have been reluctant to actually execute a member of a noble family. (In Germany, the ruling Wittelsbachs were placed in a concentration camp, but given private lodgings and more food than the run of political prisoners). What would make a Duke risk his life to resist tyranny, when so many ordinary French people went quietly about their lives during the war, and so many cooperated enthusiastically with the Nazis? When I ask that question, I have to ask what I would have done. We can be grateful to those who did give their lives in the cause of freedom. This entry was posted in France and tagged Chateau de Maintenon, French Resistance, Jean de Noailles on June 10, 2014 by Claudia Suzan Carley. Thank you for your information. I am the great grand daughter of the caretaker of the grounds of the chateau. 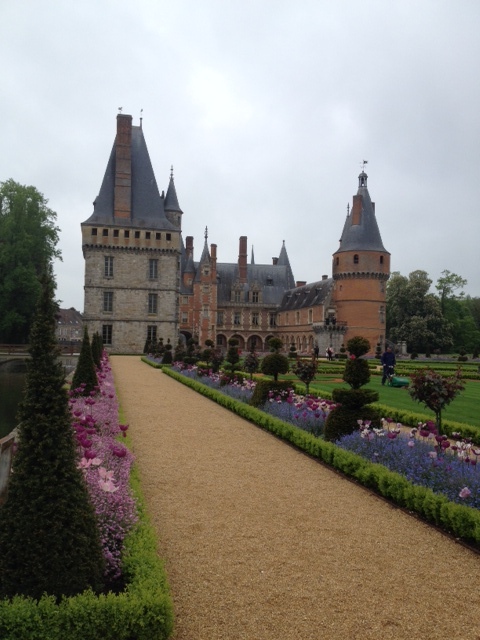 I never knew my grandparents and we don’t have much information or stories of the lives of anyone at Maintenon. 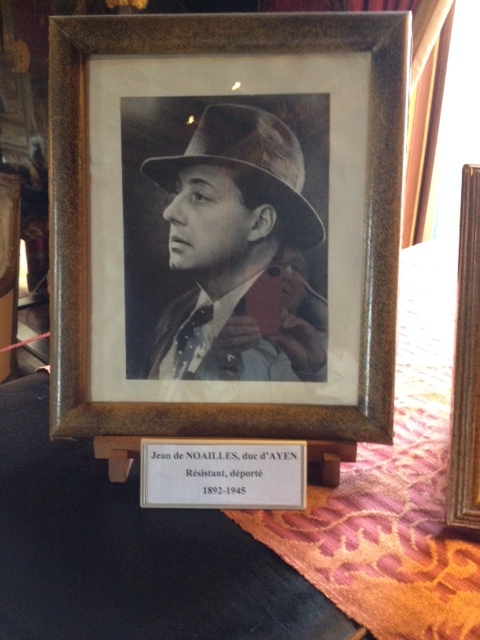 I visited the Chateau yesterday and noticed the same pictures of Jean de Noailles. No one there could tell me anything about his death. If you have any more information, I’d love to know! Thank you! Betsy, I should have cited my source. I saw brief references to Jean de Noailles in some reading which I will try to remember. The basic information is in a Wikipedia article in French. I seem to remember there was some controversy about his life, but not about his work in the Resistance. I think family members still live in one wing of the chateau. I’d love to ask them questions! Thanks so much for reading and for your comment.